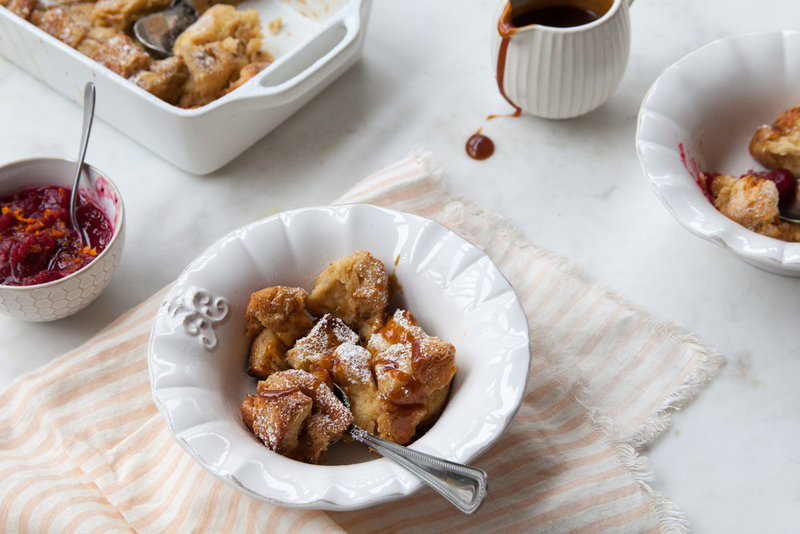 Warm, decadent, and slightly indulgent, this Croissant Bread Pudding breakfast treat is a perfect crowd-pleaser. 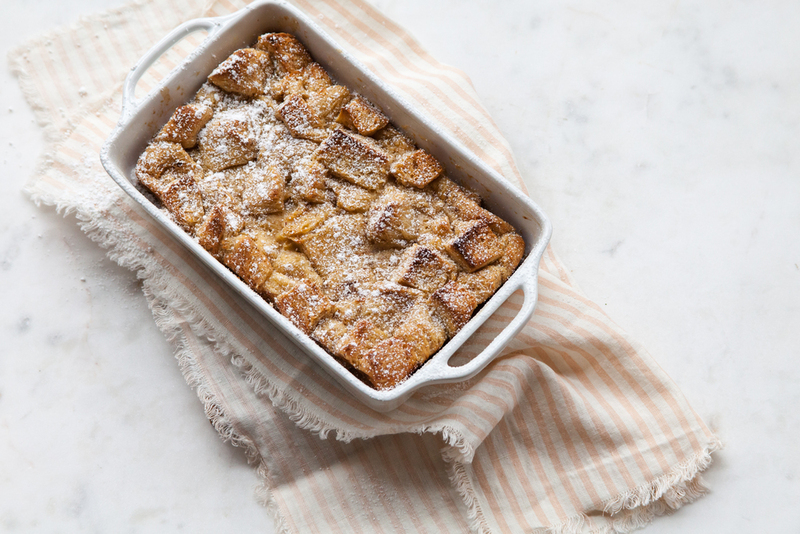 It comes together rather quickly and bakes in the oven while your guests mingle or sleepy family wakes up. I love the flavors of almond and raspberry together, but feel free to switch it up if almond is not your thing. The raspberries tucked between the croissant layers turn into jammy pockets of goodness once baked. 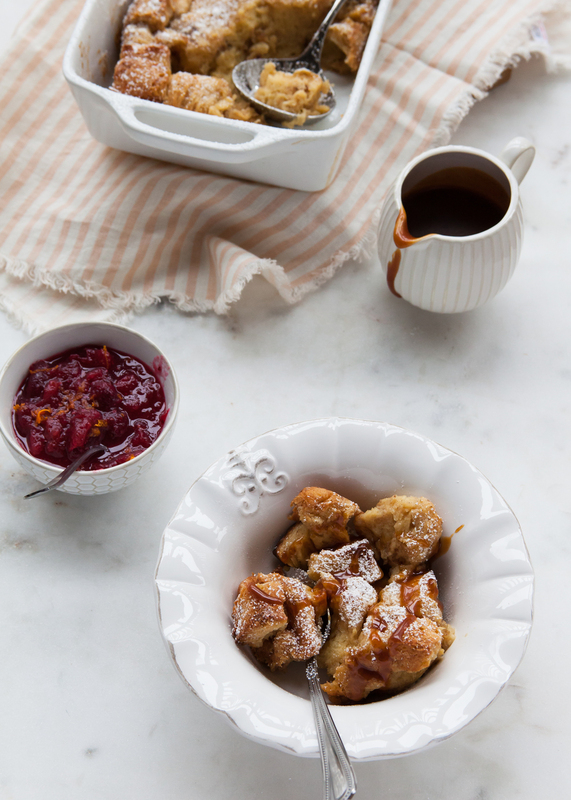 Between the soft but substantial pudding, the flakey edges of the croissants, and the crispy turbinado sugar, it is the perfect symphony of texture.